So You Think You Can Mom? : FabKids.com: No June Gloom Here! FabKids.com: No June Gloom Here! We're kicking off the Summer with bright pieces from FabKids.com! This month is all about vibrant colors and fun prints so whether it's sunny or overcast, your kids are sure to shine in their personalized outfits from Fabkids.com. Outfits with Shoes: You will be able to buy outfits and shoes in just 1 click + you get a 10% savings! Mya was really excited about her June look! 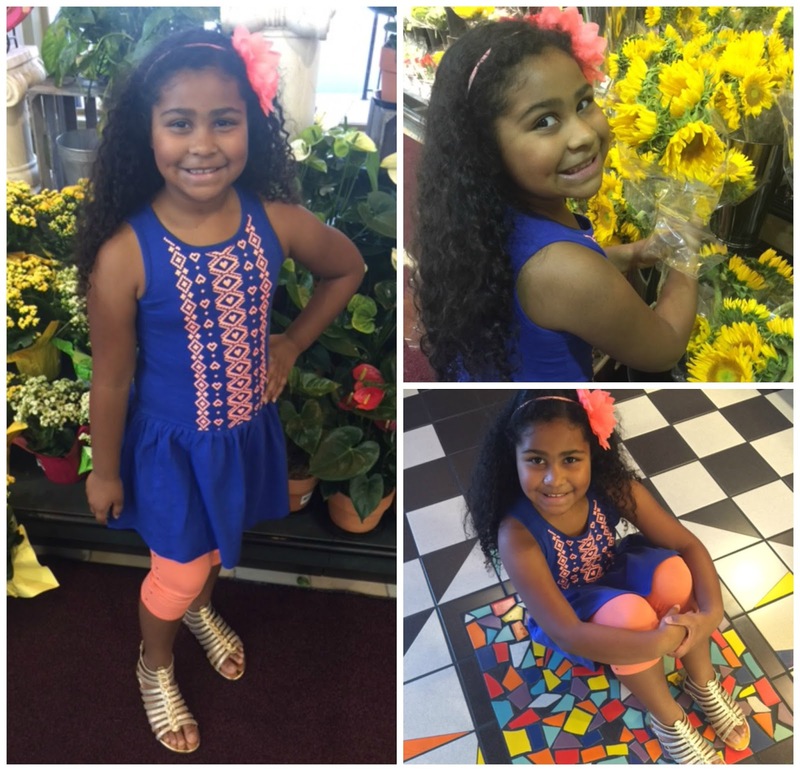 She received the Summer Tide outfit which includes the Blue Sunshine Dress and Pyramid Stud Capri Leggings. The cute blue drop waist dress has a fun tribal print in an orange puff paint. The capri leggings are orange with gold studded detail down the side of the legs. This is the perfect Summer outfit for any occasion...especially running errands! 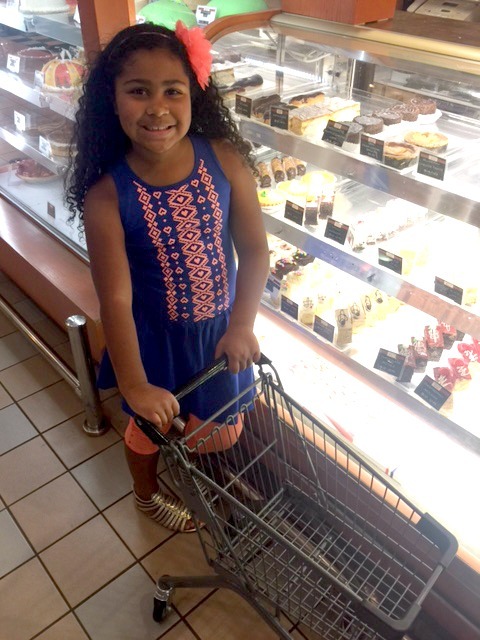 Mya was looking super stylish on a trip to the market. She smelled some flowers, grabbed a couple cookies from the bakery and stocked up on fresh fruit, all while looking FAB! The perfect shoes for this outfit are the Gold Gladiator Sandals. These comfy sandals are both shiny and sparkly! The rear zipper is perfect for slipping them on or off without all the buckles and straps. Fabkids.com is always offering specials for current members, but this month, they're offering 2 great deals for all NEW Members! Disclosure: I was not compensated for this post. I received a June Outfit in order to facilitate my review. These are just my two cents! GBWhatsApp will help you to get rid of most of those restrictions that the official version imposes on you. In simple words, the gbwa is a modded application which has some extra features that you won’t be able to find in the stock version. Some of the most noteworthy and popular features of the gbwa mod are hiding blue tick, online status, last seen, theme customizations and the brand new auto-reply. If you hunt in the market, you will find many other gbmods competitors like yowhatsapp and whatsapp plus. But like always it beat all of those wa mods in terms of features and regular new updates. If you are also looking for the best dual whatsapp for your Android device then gb whatsapp can help you as you will be easily able to install & use it alongside your original whatsapp.